Axalta inaugurated its new coating manufacturing plant at Savli, Vadodara in Gujarat, India. The 5,200 m2 plant is part of the company's Savli manufacturing site that produces coatings for refinish, automotive parts, and commercial vehicle customers. 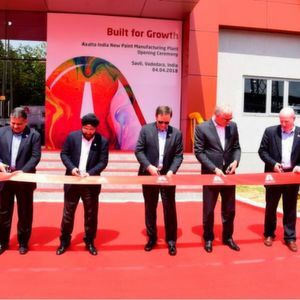 Savli/India — The new plant will double the producer’s coating manufacturing capacity to meet the growing demand for coatings in light vehicles, commercial vehicles, and industrial segments. 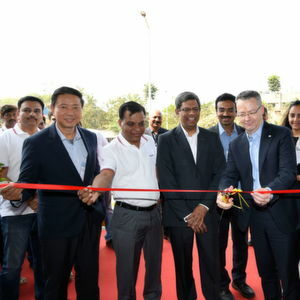 In line with its India growth strategy, Axalta has opened a new and expanded Technology Center in Savli dedicated to the Indian automotive segment in 2016. Its new India headquarters in Gurugram, within the National Capital Region, also hosts their global IT and other back office functions. Furthermore, the company has continued to invest and upgrade its refinish training centers throughout India. Taking advantage of the country's booming automotive market, the new plant will be able to expand production capacity of both high and low temperature cured coatings. The facility is also designed to scale up to produce waterborne coatings for customers’ conversion to more sustainable solutions. Interview: Single–Use Reactors Top–Trend Single–Use Bioreactors: Hype or Gamechanger for Bioprocesses?